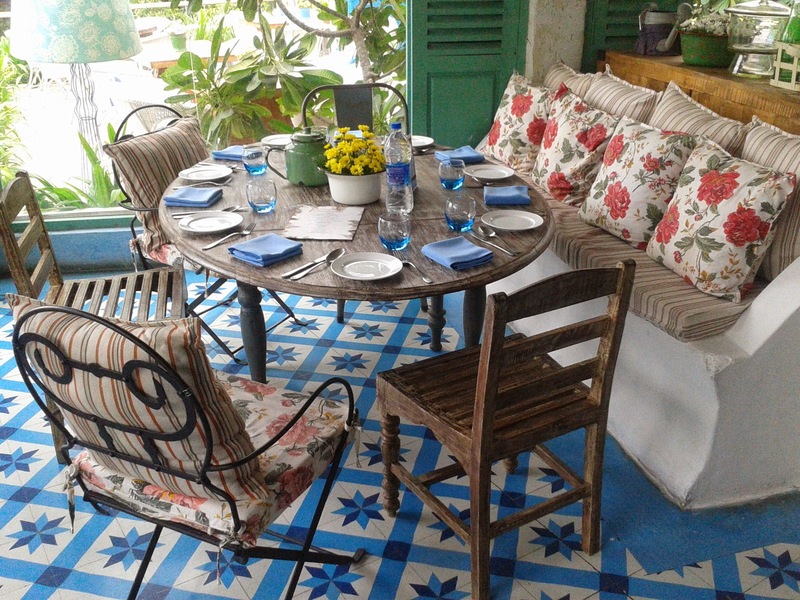 Olive Bistro in Jubilee Hills has made quite a name for itself in a short span of one year. Around their first anniversary, the restaurant has introduced its new Monsoon menu. 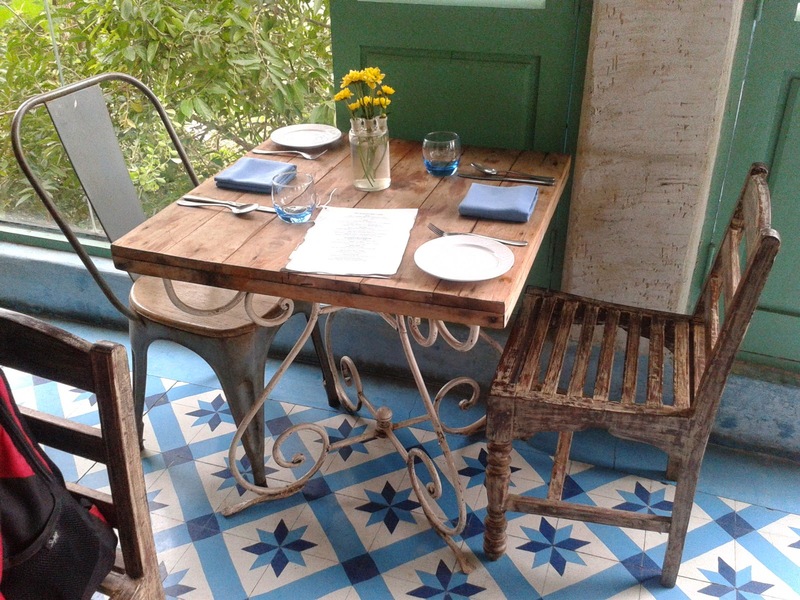 The menu, designed by Chef de Cuisine Sujan Sarkar and implemented in Hyderabad by their Executive Sous Chef Vikram Chanana, has the best of Italian and Mediterranean delicacies. As part of the menu launch, a group of food enthusiasts were invited to sample a few select dishes from the new offerings. 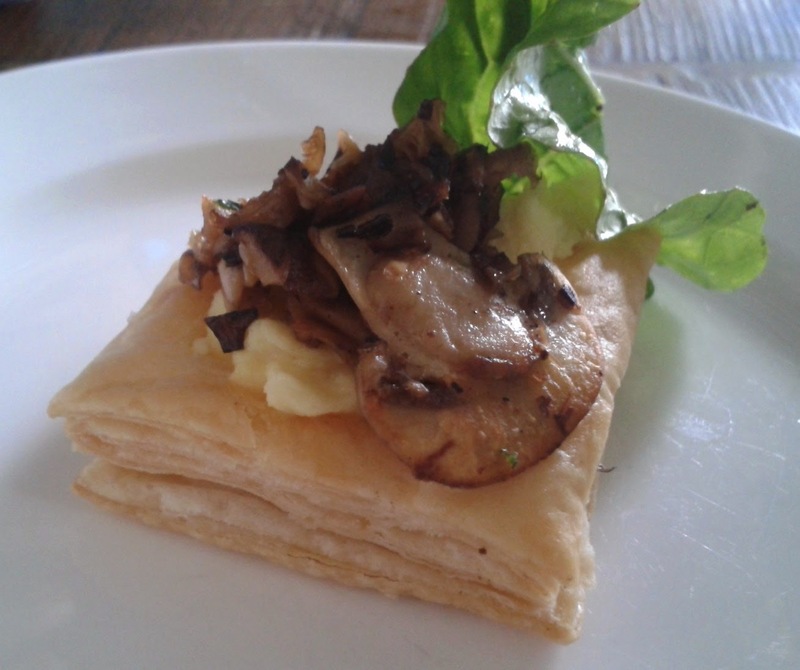 We started with a Scrambled Egg and Mushroom Puff. A soft and delicious puff topped with ragout mushrooms, scrambled egg and select greens. There was a sampler with two soups served – the first a vegetarian Farm House Minestrone which was a delicious tomato soup with vegetables and greens. The Creamy Chicken and Vegetarian Broth was a thick soup with vegetables and mushrooms. 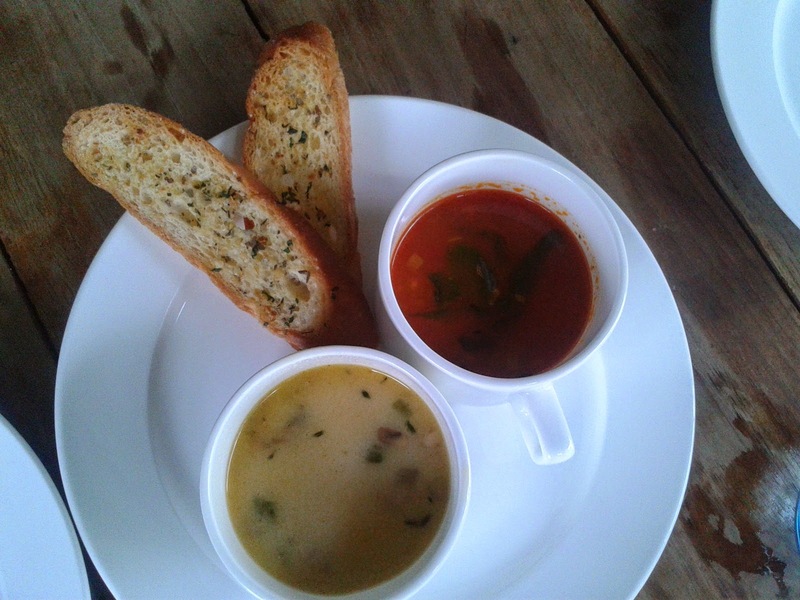 Garlic bread was served to go with the soups. Among the salads, my favorite was the Watermelon and Feta Salad, a cool Greek preparation in a honey dressing. 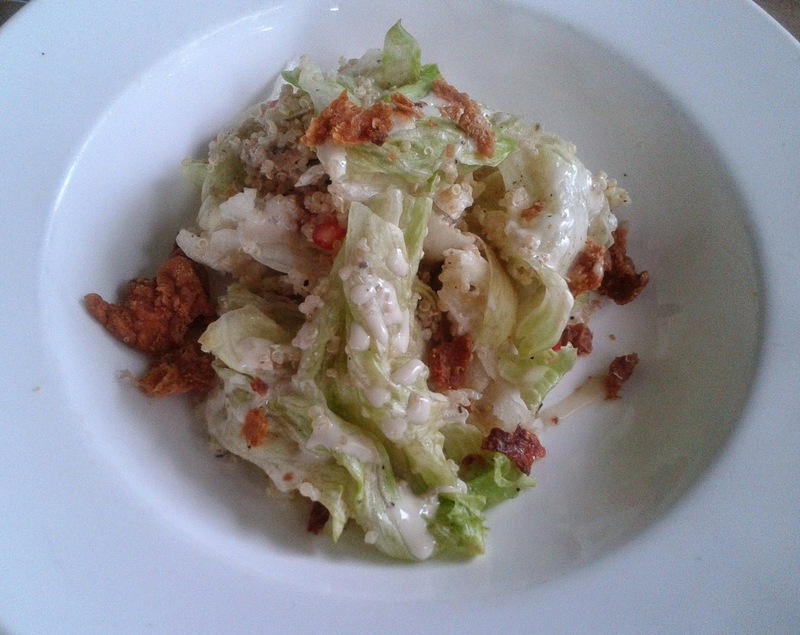 For the health conscious there was the light Smoked Chicken and Quinoa salad with a white milk based dressing. 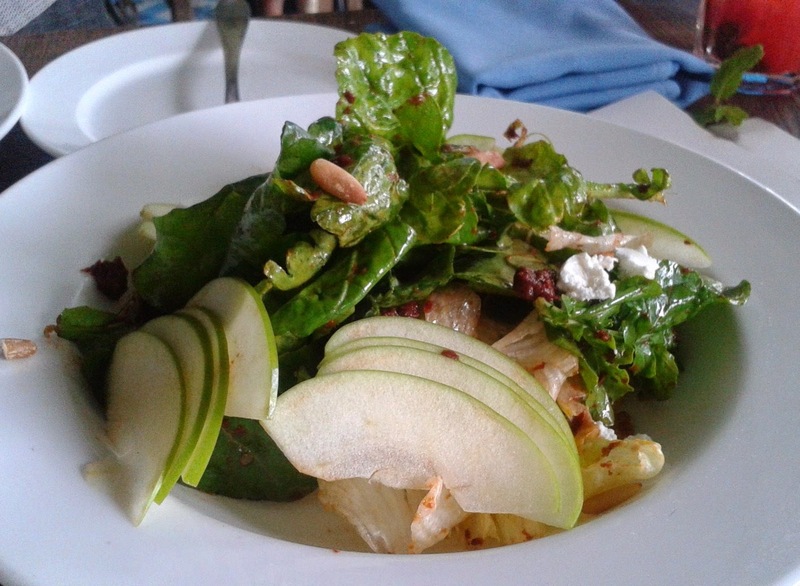 There was also Apple, Feta and Pinenut salad in an extremely alluring presentation. All the salad dressings were extremely fresh and I literally gorged on them. The starters were the next to arrive. 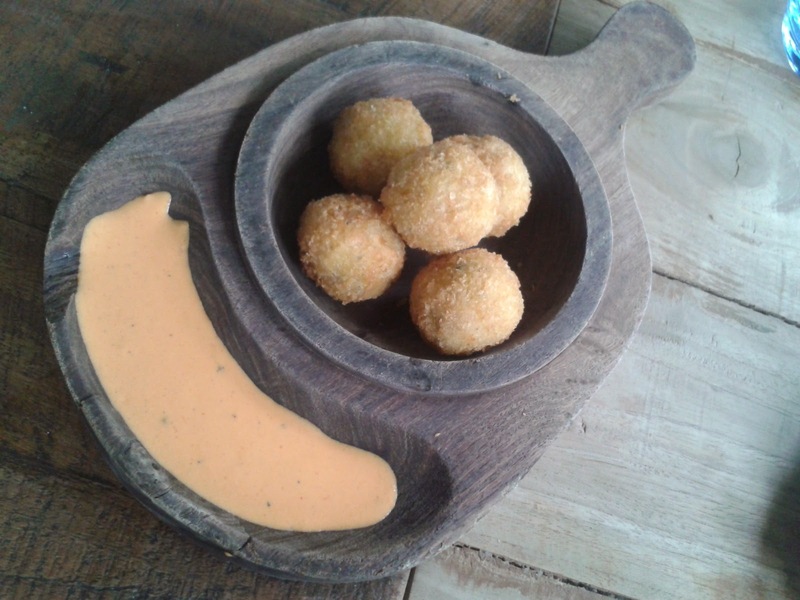 Saffron Arancini was deep fried Italian rice balls served with a delicious dip. 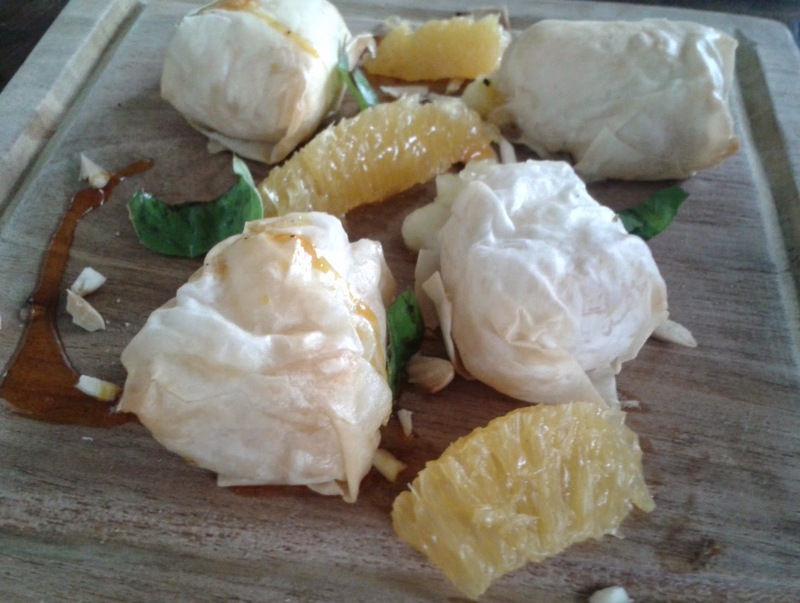 Filo (or paper thin dough) Wrapped Brie Cheese was served with cleaned orange pieces. Bruschetta in Olive is always tasty – this menu has a smoked chicken version. The best of the starters was saved for the last - Lamb Meat Balls in a tomato based spicy sauce. 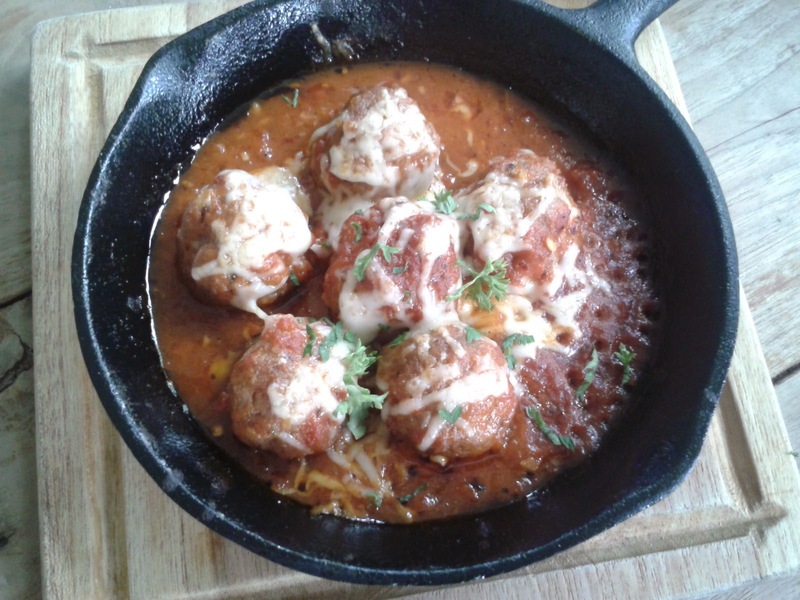 The meat balls were soft but I loved the sauce more – it was spicy and a bit tangy. The cheese on top enhanced the taste further. Next we were served flat breads, calzones and wood oven pizzas. Among the various pizzas served, it was the ham and pineapple based pizza which I liked the most. The menu also had Smoked Salmon Bagel and Pulled Pork Bap. I liked the pork fillings of the bap, but the bap bread was too dry for my liking. 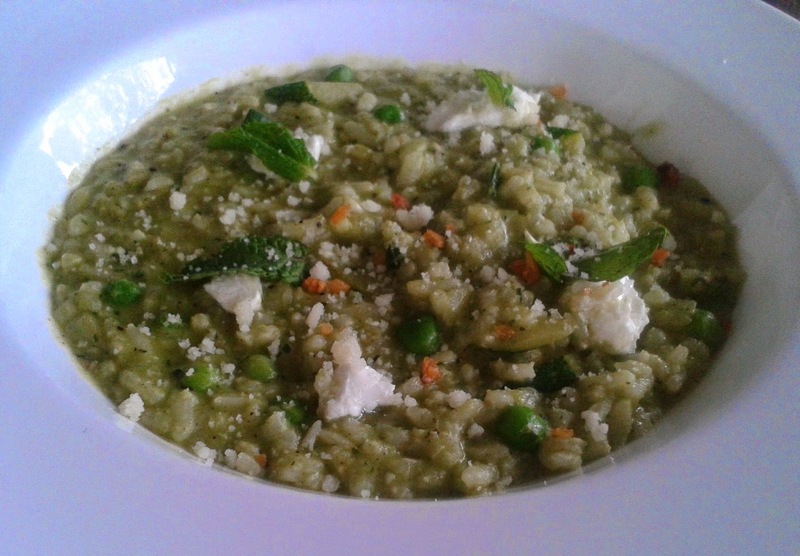 Risottos of the new menu were very well prepared – a green asparagus version with cheese and the other seafood version with fresh prawns and squids. 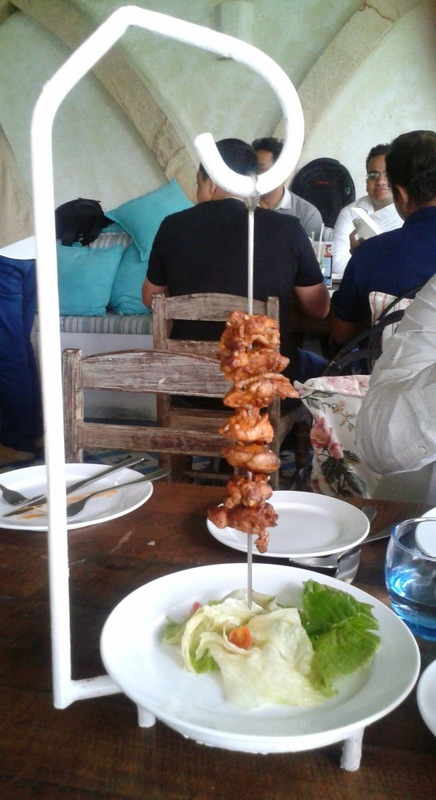 Espetadas or meat on hanging skewers is a highlight of this new menu. I have seen this in Nando’s, and I was told by a restaurateur friend that due to the visual appeal of the dish it gets reordered from other tables. Olive is introducing a chicken version of this dish. 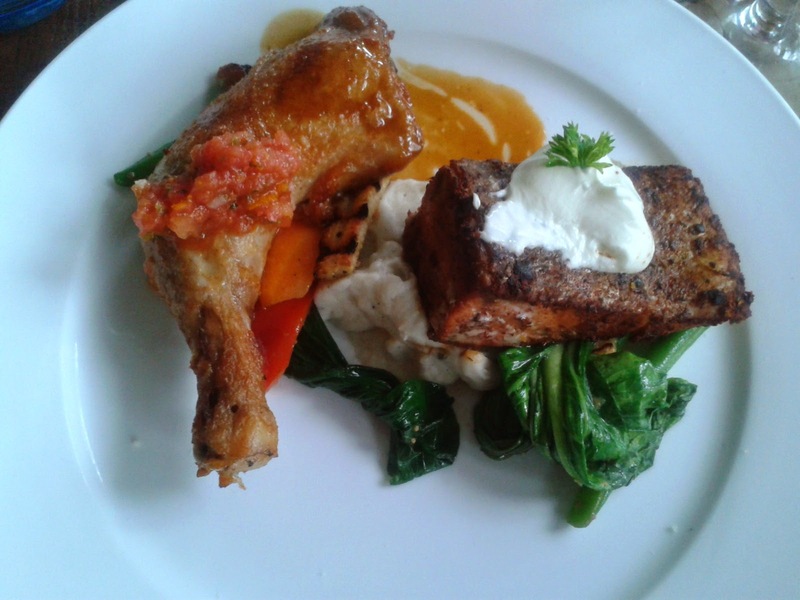 The Confit Chicken Leg and the Pan Cooked Blackened Salmon were served in the same plate. I liked the marinade on the chicken leg. 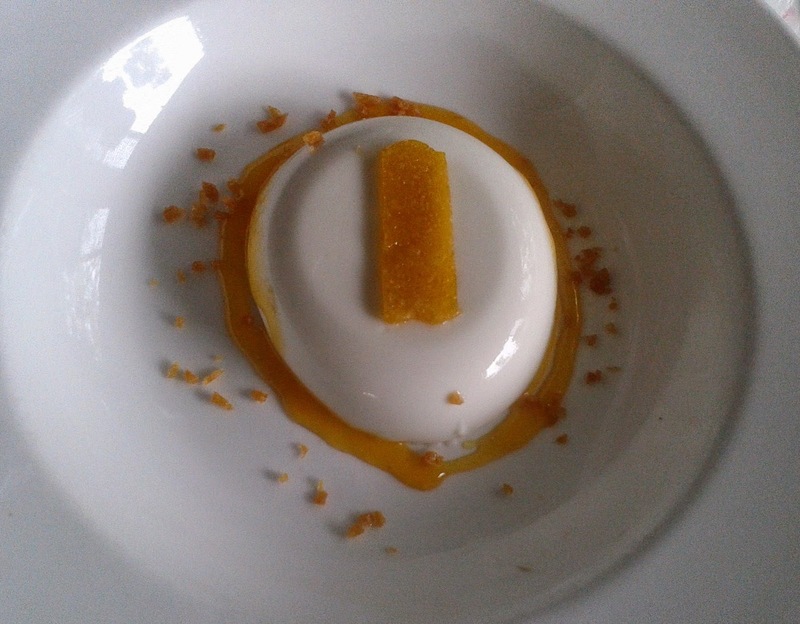 In the desserts section, the Coconut and White Chocolate Panacotta was loved by all. It was an eggless preparation with mango puree. 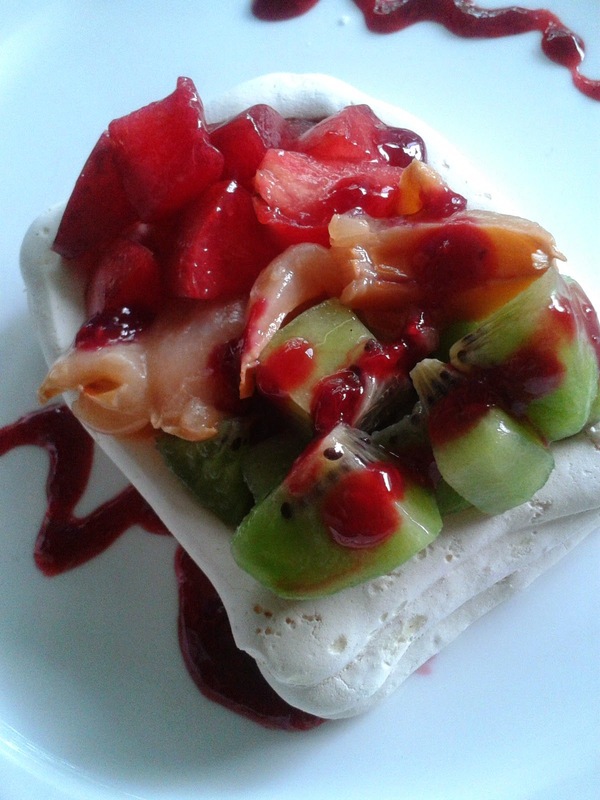 The Fresh Fruit Pavlova had a nice presentation. The ever popular Insanity Cake Slice in Olive’s menu has been replaced by a Black Forest Cake. This is also a cake slice to die for especially for a chocoholic like me. Few more cakes were also served which were lapped up by everyone. I appreciate the regular menu change by the Olive group – it gives the regular customers the opportunity to try a range of different items over a period of time. The menu is fairly exhaustive and interesting - though I will miss the Twice Cooked Pork Belly and the Insanity Slice Cake from the previous list. We had a long discussion with the Managing Director of Olive group of restaurants A D Singh and the partner of Olive Bistro Hyderabad, Shaaz Mehmood. Chef Vikram was at hand to explain the finer details of the dishes. As part of their anniversary celebrations and new menu launch Olive Bistro is giving a special 50% discount to all customers till 29th July.